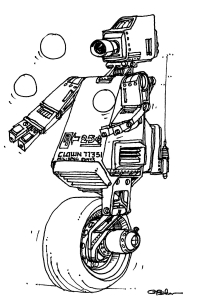 Back in those early, wild west days of personal computers when Atari, the Apple, Radio Shack, and others ruled the world, a guy named George Beker defined the graphic universe of artificial intelligence with his robot drawings and cartoons. 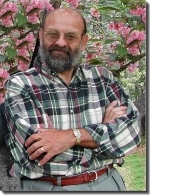 Beker's iconic work first found a large audience when he provided the illustrations for Dave Ahl's Basic Computer Games which sold over a million copies internationally. Beker went on to provide illustrations for Ahl's follow-up book, More Basic Computer Games, and other computer-related publications. After writing television projects for Videorecord, Inc. and a stint at Sesame Street, Beker formed and for 30 years was the President of GBA, a successful, multi-award-winning PR/media firm serving many of the Fortune 50. Along the way (and largely unknown to him), his drawings took on a life of their own on the web where Beker's BOTS were stolen, appropriated, copied, modified, redistributed, and otherwise abused by numerous sites and individuals. BEKERBOTS.COM is the only official site for contacting Beker, viewing his drawings, and the like. Anyway, enjoy the visit. And feel free to drop us a line if you have any questions, comments, or special requests.